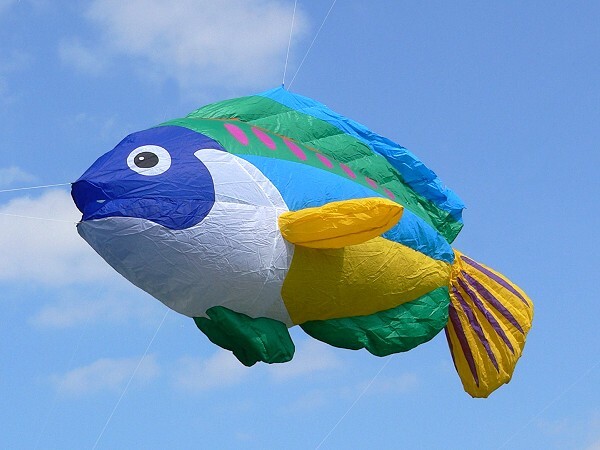 Three dimensional wind inflated fish with swimming action. Well behaved with minimal drag for medium size kites. Use a 9ft Delta or Large Power Sled for instance, to lift this unique piece of line laundry. Two flying line connection points ensures tangle-free swimming movement. Bag included.